1. For the September 1st 2012 sailing on Carnival’s Valor, this 8 day cruise is priced from only $579pp. It cruises from Miami and stops in Grand Turk, the Dominican Republic, Curacao and Aruba before returning to Miami. 2. Other cruises to Aruba from Florida include the October 6th, 2012 sailing on Carnival from just $849pp. This one is roundtrip from Ft. Lauderdale and visits the ports of Grand Turk, the Dominican Republic, Curacao and Aruba before returning home. 3. 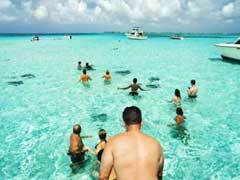 Aruba vacation deals for those over age 55 are also offered by Royal Caribbean. Their 11 night offering sailing on November 12th, 2012 starts as low as $779pp. It is roundtrip from Ft. Lauderdale and stops in St. Kitts, St. Lucia, Barbados, Grenada, Bonaire and Aruba before heading back to the States. 4. Celebrity offers Caribbean cruise deals like the December 15, 2012 sailing that leaves Ft. Lauderdale and visits Aruba, Grenada, St. Lucia, Barbados, Antigua, St. Maarten, Haiti and the Bahamas. Prices for this cruise start at $1,599pp. for the 14 night trip. 5. Royal Caribbean’s 12 night jaunt to the Caribbean is offered from $729pp, for the April 13th, 2013 sailing. This one leaves Baltimore and visits St. Maarten, St. Kitts, Aruba, Curacao, Cococay and ends in Port Canaveral, Florida. Aruba vacation deals can also be found on cruises from Puerto Rico and many other departure ports. If you are over age 55, you can enjoy great deals, sometimes saving up to 50% off of regular prices. If you are looking for multiple choices in itineraries, interesting things to do and see onboard and fun shore excursions, then Caribbean cruises are for you. Whether you like walking tours, snorkeling, and historic cities or just like to sit on the beach and relax, the Caribbean can offer it all. Aruba is a beautiful island that is a treat for all the senses, and with Aruba vacation deals, it makes it all the more sweet.